When Platform-as-a-Service first came on the scene, it took a while before people began to understand its benefits. That makes sense: not only is it cloud-based, but PaaS is a different way of managing platforms. Download this whitepaper to better understand the different flavors of PaaS, pros and cons of each approach, and DLT’s new approach to a private PaaS for public sector. An early adopter of BIM, NY DDC is an award-winning example of a progressive state and local agency that has leveraged BIM tools and processes to manage some of the biggest construction projects in the world. Organizations depend on the mission-critical IT backup, data protection, storage management, and high availability infrastructure. Integral to that infrastructure are responsive, proactive, a knowledgeable support solutions that ensure maximum return on your investment in your information technology infrastructure. 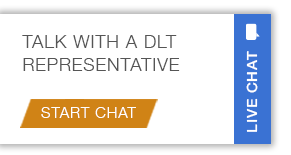 DLT Solutions Service Center offers quick response, precise technical help, as well as installation and start-up support. In this on-demand webinar, Jeremiah McKnelly, a leading geodesign consultant with Spatial Business Systems, explores first-hand how AUD can benefit your electric utility. Mr. McKnelly also offers a live demonstration of common solutions and workarounds, as well as helpful tips and tricks for using AUD effectively within your environment. This white paper explores how state and local agencies can cost-effectively address infrastructure modernization project challenges and realize the benefits of improved project lifecycle coordination with Autodesk® Infrastructure Design Suite. Join DLT Solutions and Autodesk for the final webinar in a three-part series where we’ll address the numerous challenges that today’s engineer encounters throughout each infrastructure project. Webinar Series: What Does Infrastructure Success Look Like? DLT Solutions and Autodesk present a three-part webinar series that explores how state and local agencies can overcome conflicting project demands and priorities to drive success in today’s era of infrastructure modernization. Join DLT Solutions and Autodesk for the second webinar in a three-part series where we’ll address what successful infrastructure project implementation means to citizens. This webinar will focus on how you can leverage your current security investments, institute common best practices to better effectuate controls to reduce attack exposure, lower unplanned investigation and remediation costs, and protect sensitive information. This informative whitepaper addresses components and challenges of the Continuous Diagnostics & Mitigation Initiative and how ForeScout supports them. The DLT Customer Portal is an innovative, customizable tool designed to give our government customers instant visibility and accessibility into activities relating to the management of their procurement operations. Through a secure portal, users can track and review their purchase history, access product information, submit new purchase requests, and more. Find out how Storage-as-a-Service (STaaS) can help make your agency more efficient. STaaS provides agencies and organizations with bundled hardware, software, and services in a pay-as-you-go model. Acquisition, operations, and maintenance costs of a storage infrastructure are delivered as a metered storage service. Inaccessible technology hinders a person’s ability to acquire and process information. Section 508 of the Rehabilitation Act requires federal agencies to ensure that their software and information technology is accessible to people with disabilities. This section helps eliminate barriers and creates new opportunities for those with disabilities. Talisen Technologies and DLT Solutions joined together for an informational webinar on Leveraging FM Technology to Drive Sustainability. Listen as FMP, Inc. and DLT Solutions discuss Asset Lifecycle Management.